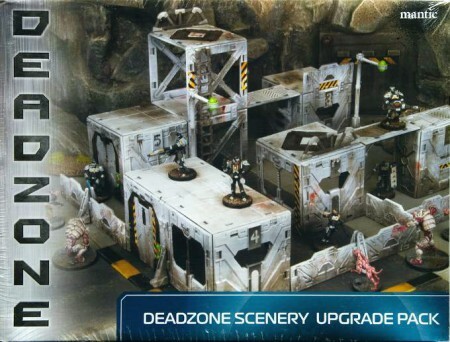 Last year, I bought two boxes of Deadzone Scenery Upgrade Pack. 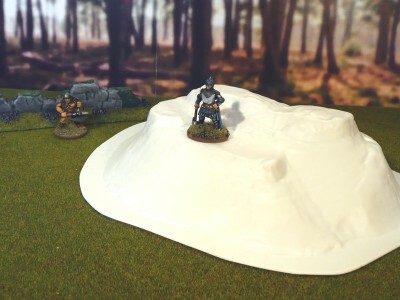 I did this to quickly and (fairly) cheaply get some scifi terrain on the table. 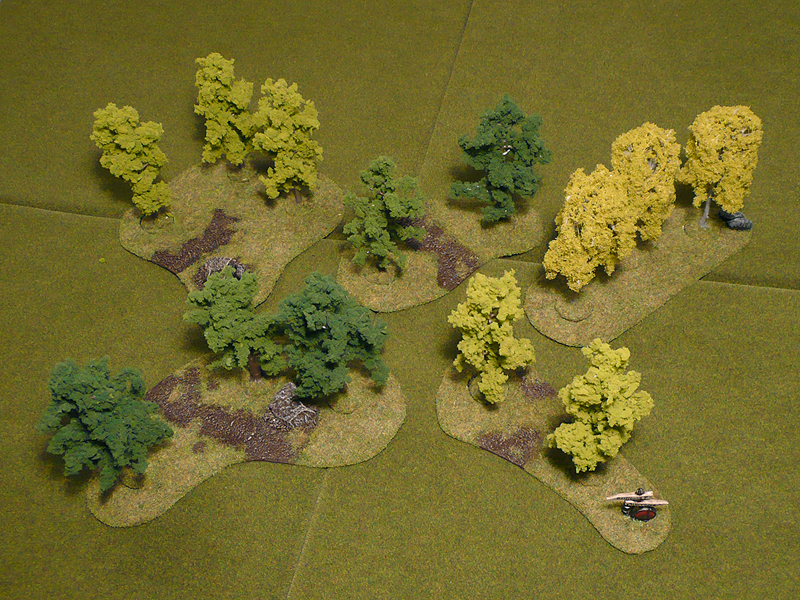 I quickly noticed the components wouldn’t last long and invested in three more boxes plus a bagged Defence Line (more on that later). I started building rather quickly, but ran out of steam for one reason or other. The project simmered for almost a year and this last week I’ve spent the evenings clipping and building. Here’s what I have ended up with. Five walkways, two larger buildings, three 2×2 square ones and three smaller buildings, all with detachable roofs. Bottom right shows the left-overs. I also managed to cobble together a few barricades from left-over supports and the low wall thingies. All in all I’m pretty happy with how the buildings turned out. I would like a few more small “hab cube” buildings and there are a few other buildings I would’ve liked to do. For instance, more two level buildings. When these are all painted and finished I’ll look into that. 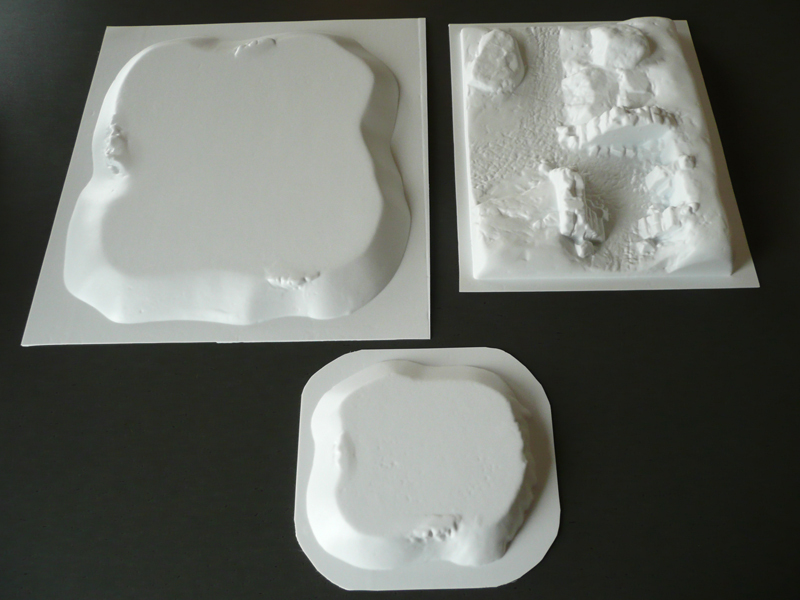 For now, I’m done with Deadzone terrain – though I did enjoy putting it all together! Now for some tips. Many (or all) of these might be old hat, but they were mostly my own discoveries so I thought I’d pass them on. Tip 1 – Get more connectors. Now! When assembling, I soon realized the connectors wouldn’t last. We all know that by now, but for me it was a bit of a surprise. 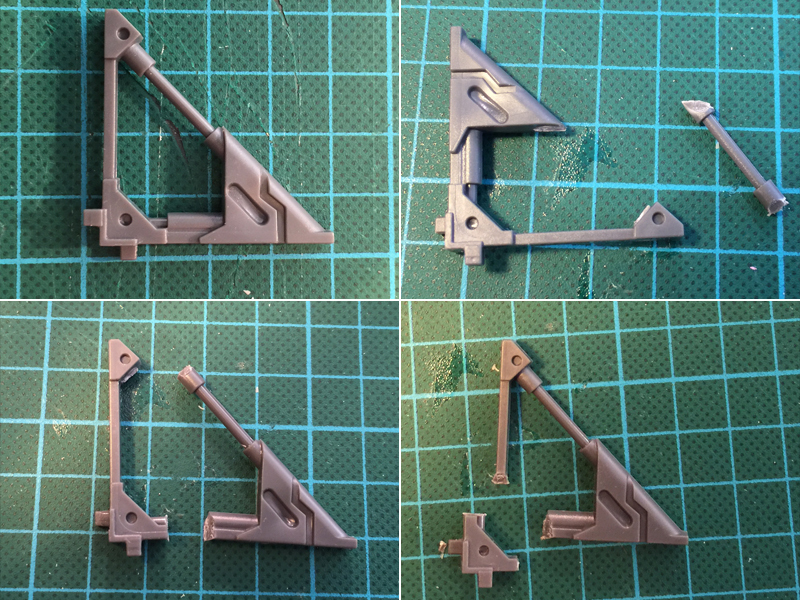 I checked for connector sprues on eBay but couldn’t find any for a decent price. 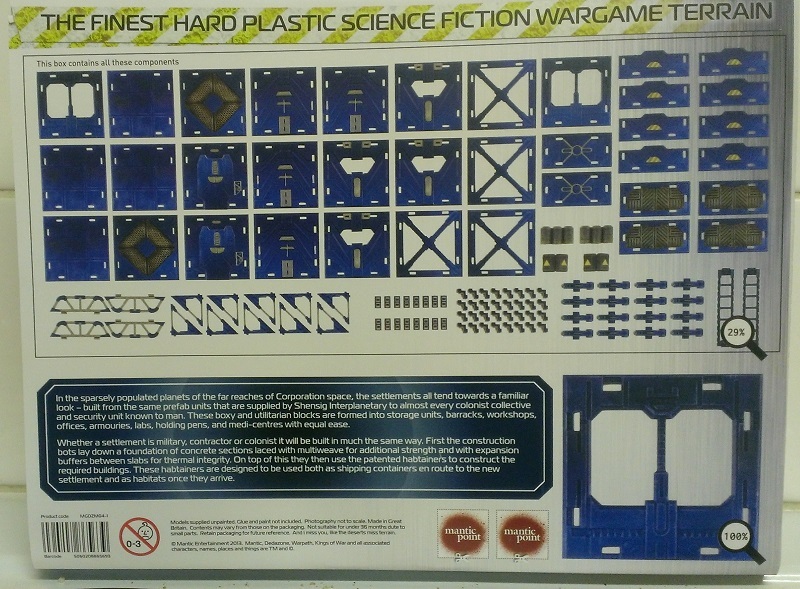 I did however come across the Battlezones: Sci-Fi Defence Line. 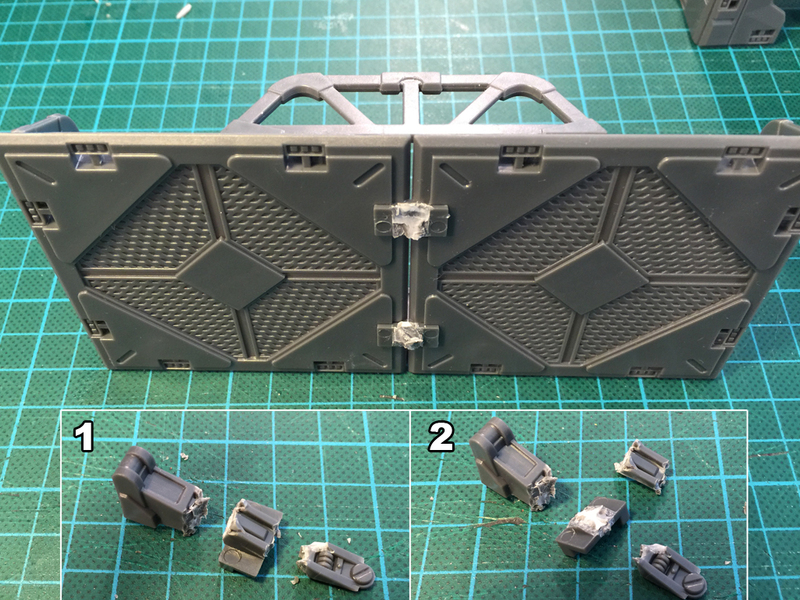 It came with a connector sprue which isn’t actually needed. Had I bought two of this, I wouldn’t have had to resort to short cuts. Had I bought a pack of four sprues, I probably would have had surplus connectors. 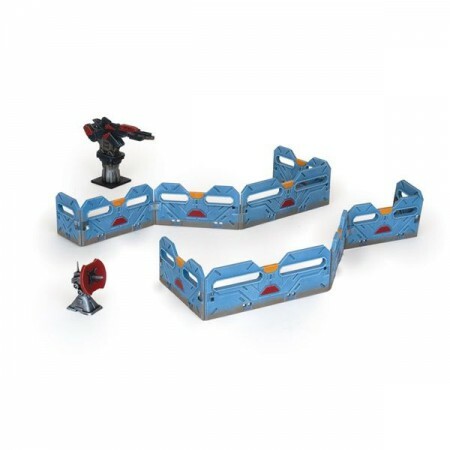 Defence Line – it includes not only a big lascannon and a little satelite dish, but a full connector sprue! And a defence line, but use that to build fortified watchtowers instead of lame barricades. 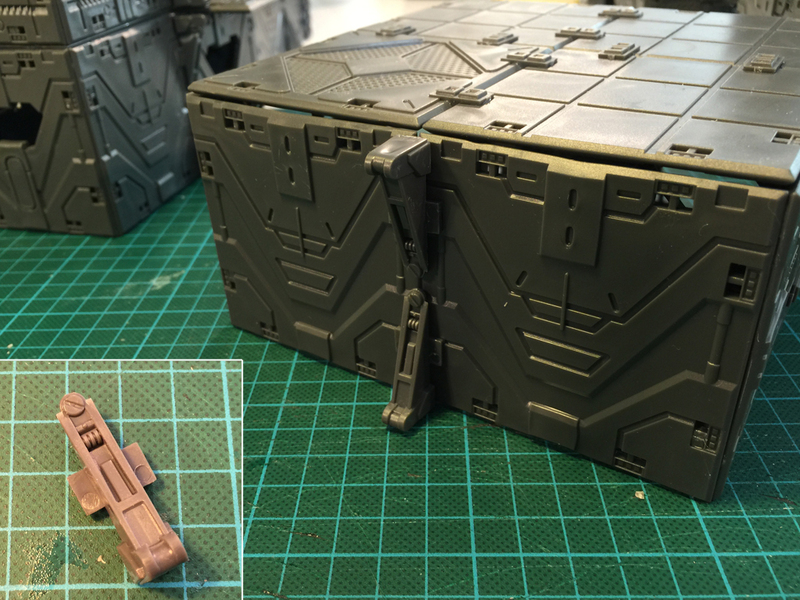 Tip 2 – Glue everything together – but dry-fit and plan first! It might be tempting to just start building, but try to plan out all the buildings you’re doing so that you don’t end up lacking walls, ceilings or connectors. 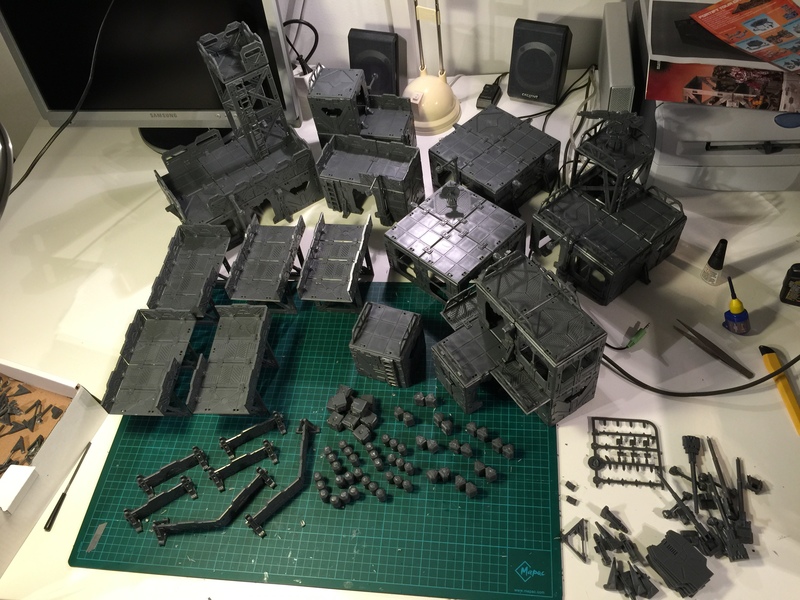 I laid out my buildings in “exploded diagrams” on my work table and portioned out as few connectors as possible. If I hadn’t done that, I wouldn’t have been able to build all the buildings I made. Also, when you come to the final assembly part – glue everything in place! I used Revell’s plastic glue and it worked a treat on the material. 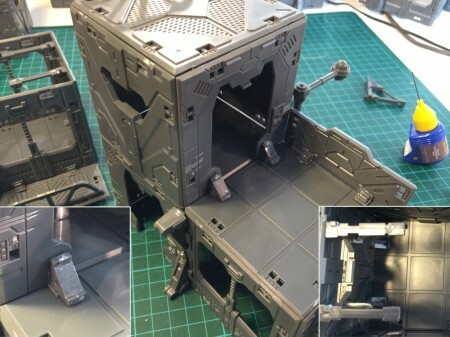 Tip 3 – Using supports instead of straight connectors. In the end, you will most likely run out of connectors. Luckily, there are other pieces you can use instead. I used supports instead of straight connectors on most of my walls. 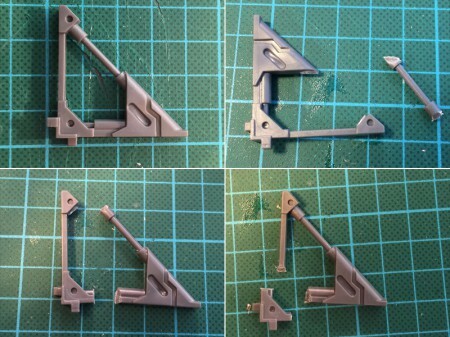 Tip 4 – Making straight connectors out of supports. I ended up needing even more straight connectors than I had, even if I used the supports on exterior walls. The solution was to clip down a few supports into flat straight connectors. These were only used where they wouldn’t be visible, so I didn’t file them or trim them very neatly. These ersatz connectors were applied on the underside of a roof. I first separated the connector from the ends of the support and then clipped off the protruding part from the connector. Small clips (and good clippers) are recommended! Tip 5 – Removable roofs using struts. When I started building I immediately decided I didn’t just want to block line of sight with the buildings. I wanted to be able to place objectives inside as well. Who knows – eventually I might end up modeling the interiors of some buildings too. To facilitate this, I made the roofs detachable using trimmed struts. It’s important to remember to trim the connector peg that meets the roof. You don’t want that snug snap-fit, they should only be there to keep the roof from sliding off. Top row shows the roof on and off, while bottom row shows the use of a regular strut and a modified one. Also, not the trimmed connector pegs. 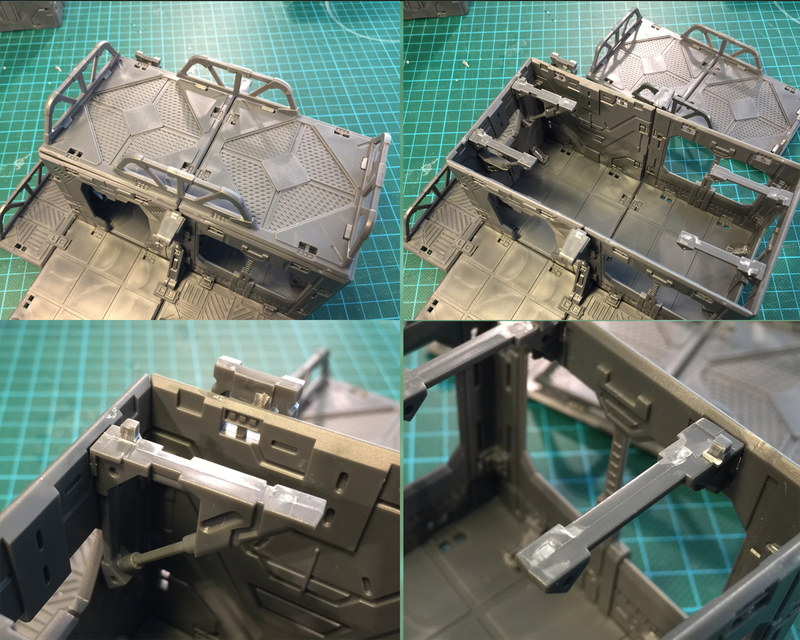 Tip 6 – Making corner connectors out of struts. To not run out of corner connectors, I had to resort to using struts in some cases. This was mostly done where I had forgotten to include corner connectors for attaching an upper level building to the lower level roof, as I didn’t want to risk wasting valuable corner connectors. I simply cut off and trimmed down the strut so only the connector bit was left. It’s a two snip affair, so not very complicated. If the connector will be visible, it can be a good idea to trim it further. Four ways to cut a strut. Top left is unmodified, top right was a version I ended up never using. Bottom left is what I used on the roof strut support variant above and bottom right is a corner connector made from a strut. Ersatz corner connectors in use. That’s it for now – I have a few more tips related to construction but I’ll get to that when I show the finished pieces instead. 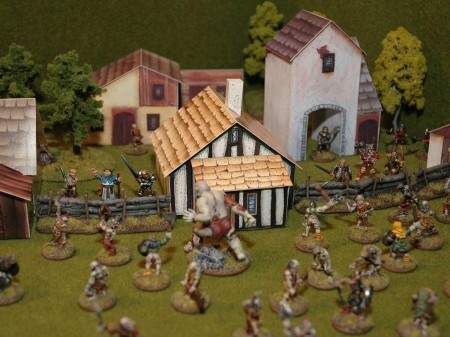 I’ve had need for a few barricades for the next Stillburg scenario for quite some time now. Couldn’t decide on whether to make them myself from scrap, from some metal furniture and carts or to just buy ready made from one of the many resin scenery casters around. Stumbled across some interesting stuff at Ainsty that would suffice, without being expensive or a serious model to paint. While looking at them, I decided I could probably do just as good myself with some twigs from the yard so I set to it. Based on masonite, the logs are twigs of your regular garden variety. The supports are cocktail sticks with the pointy bits clipped off. I ended up with five serviceable and useful little pieces, not very pretty or neat – but who will care in the long run? I now have some makeshift barricades to defend Stillburg with. It will be needed. In other news, I’m actually painting some models for the first time in ages. I’ve posted a WIP thread over at the BLOOD-forums. 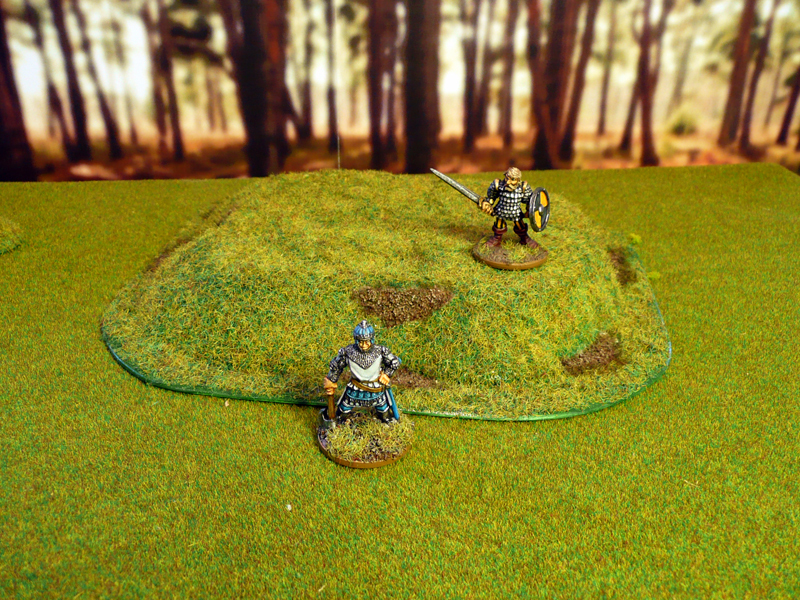 Thought I’d just do a quick post with some pictures of the Amera terrain I’ve finished up so far. I’m really happy with the purchases, but haven’t had the opportunity to use any of it in a game so far. It’s been a very long time since I did any gaming at all, not counting the odd session of Small World with the Mrs, or when we played 7 Wonders (yay!) and Drakon (meh…) last friday when we were over for dinner with some friends. Hopefully this will change as I’m off on vacation starting monday, and won’t return to work until december at the earliest as I’ll also enjoy a few months of parental leave with our boy. 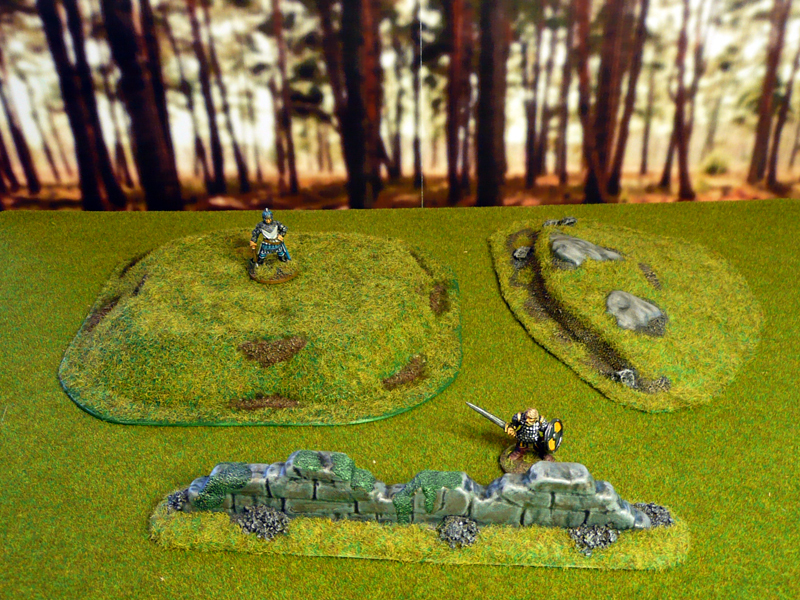 Here’s a Small Hill, a Ruined Wall and one part of the three part Scenery Set, all available in Amera’s Fantasy Realms section. Will have to revisit the edges of the small hill with some more flock. Also, for the next two wall sections I’ll remove the raised “base” and place them on a strip of masonite to lower the profile a bit. Here are a few close-ups. I still can’t get over the fact that those walls are a mere £0.65. Great stuff, functional and paints up quickly! 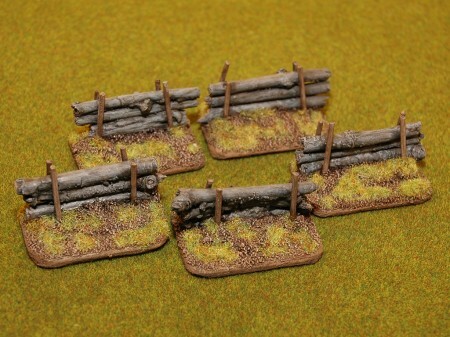 For my next post I’ve got a collection of objective markers I’m very pleased with, together with a short how-to on the creation of them. 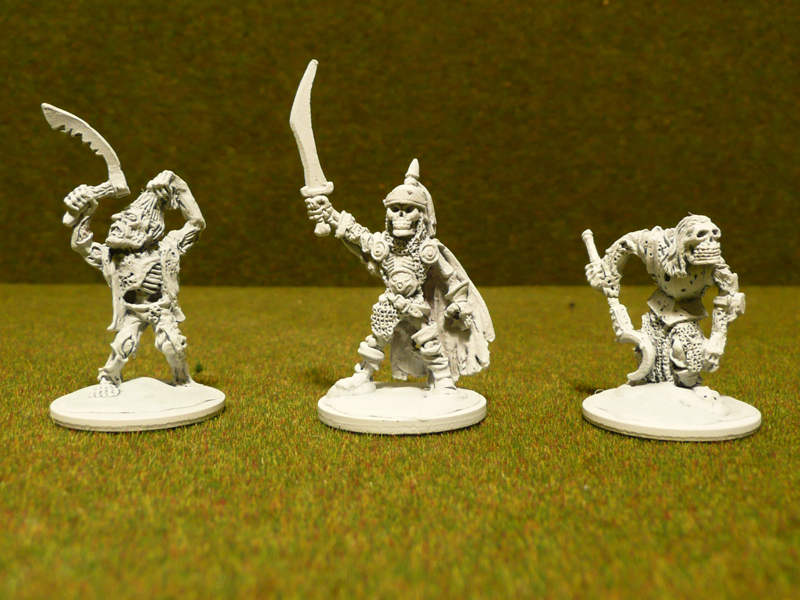 In addition to that, the 15mm dwarves creeps ever closer to completion. Still not finished with basecoating the last three though. This weekend, I hope. Recently got a package from the nice people over at Amera Plastic Mouldings. 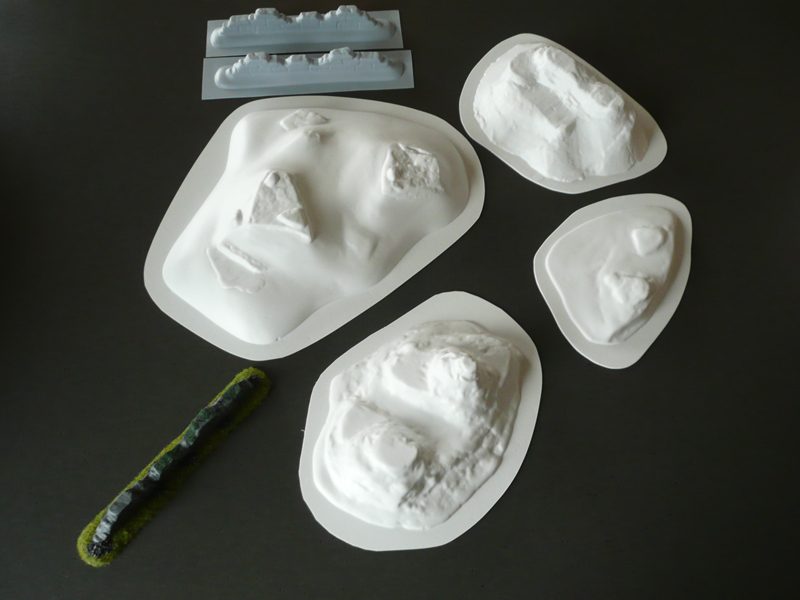 They make vacuum formed plastic models at VERY low prices. I’ve been eyeing them for a while, and when I realized Steve over at Somewhere the tea’s getting cold is using their terrain, I decided to order a few pieces. 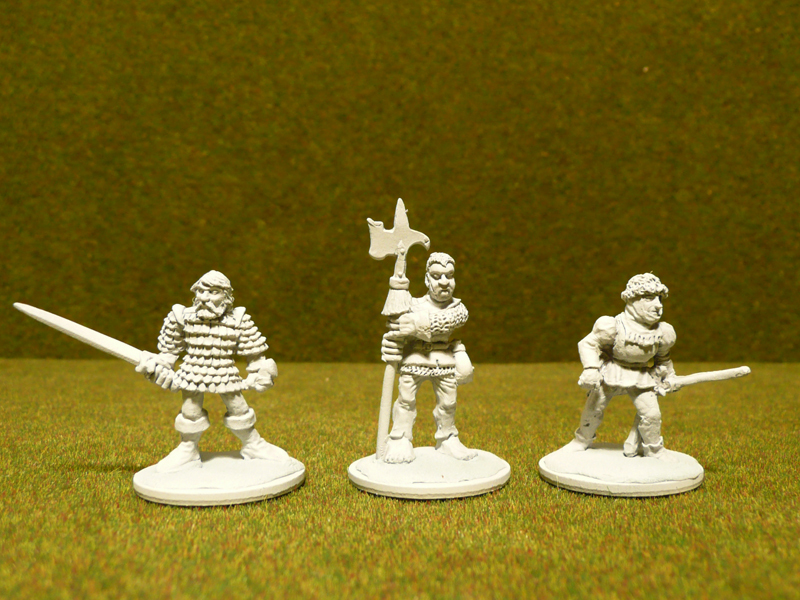 This is what I got, for a measly £25 (including shipping from the UK to Sweden). I was very impressed with the sturdyness of the material used. 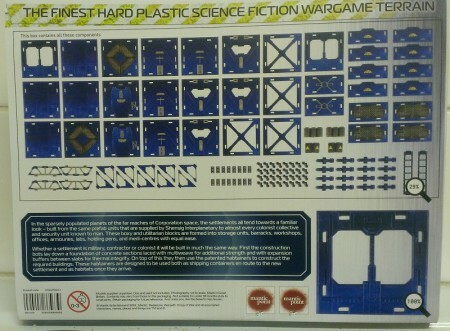 Thought the pieces would be much flimsier, but the plasticard used is thick and very sturdy. Detail is soft, but actually a little sharper than expected. 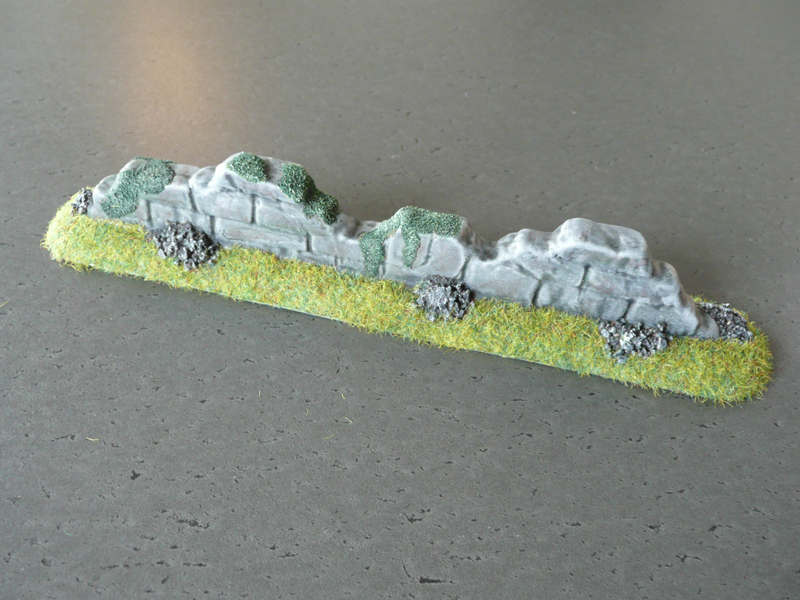 I did one of the ruined walls yesterday, as a test piece. Very happy with the result, especially considering the price of the piece (£0.65). 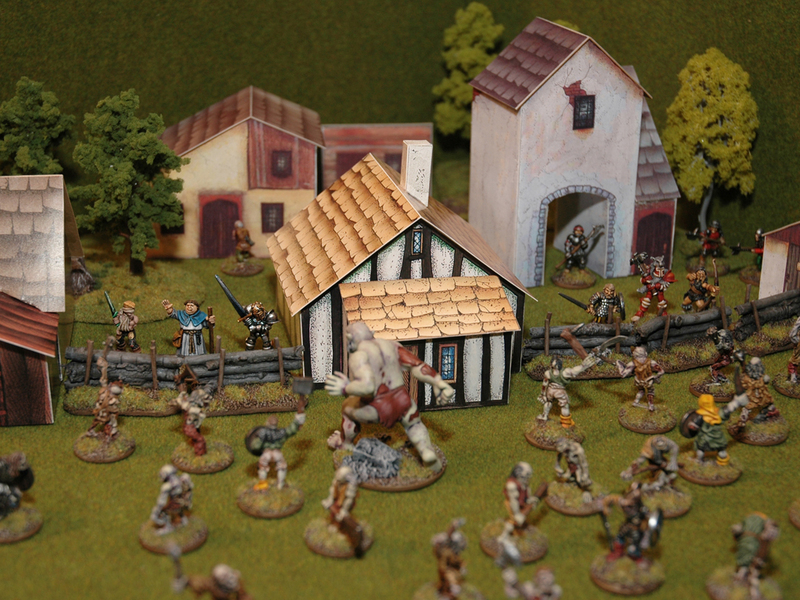 I’ll post more pics when I’ve finished more pieces… with miniatures for scale. 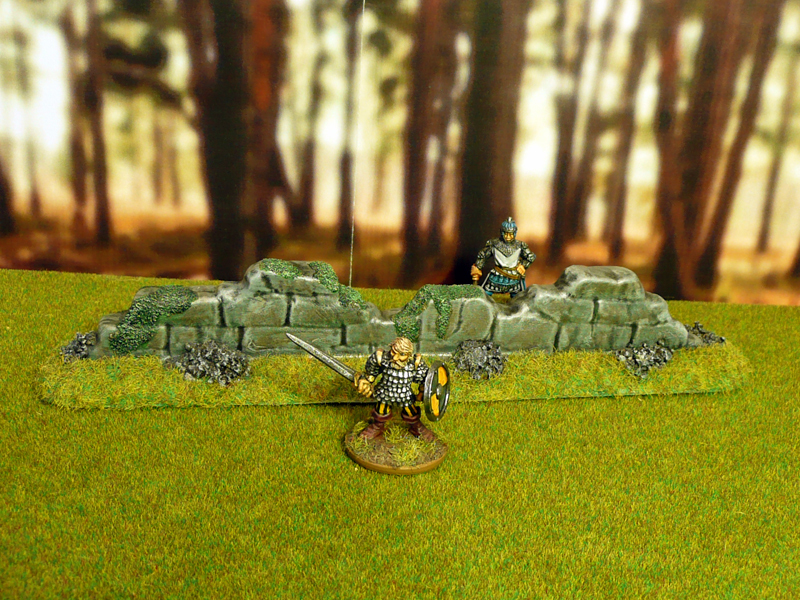 The ruined wall is about the height of a 28 mm model at its highest point. 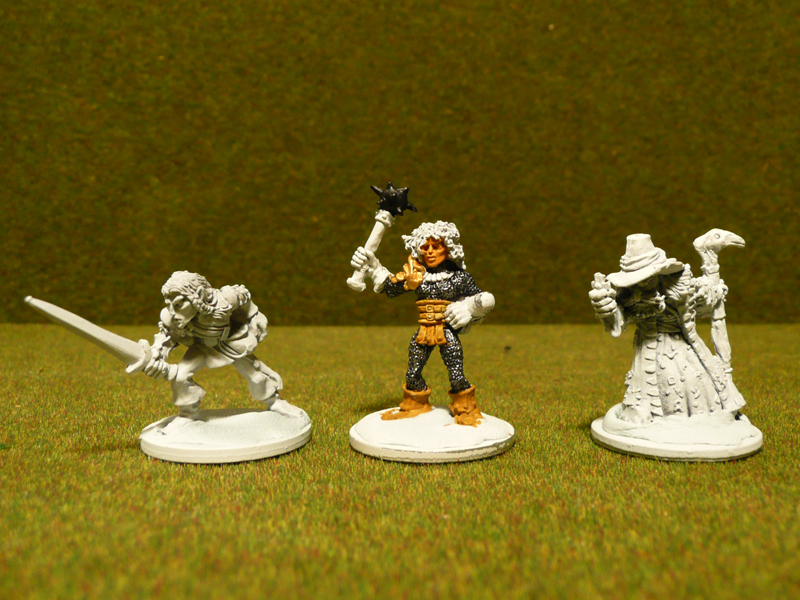 Here’s another pic, with some minis for scale. Unfortunately the photo turned out a bit crap but it serves its purpose. 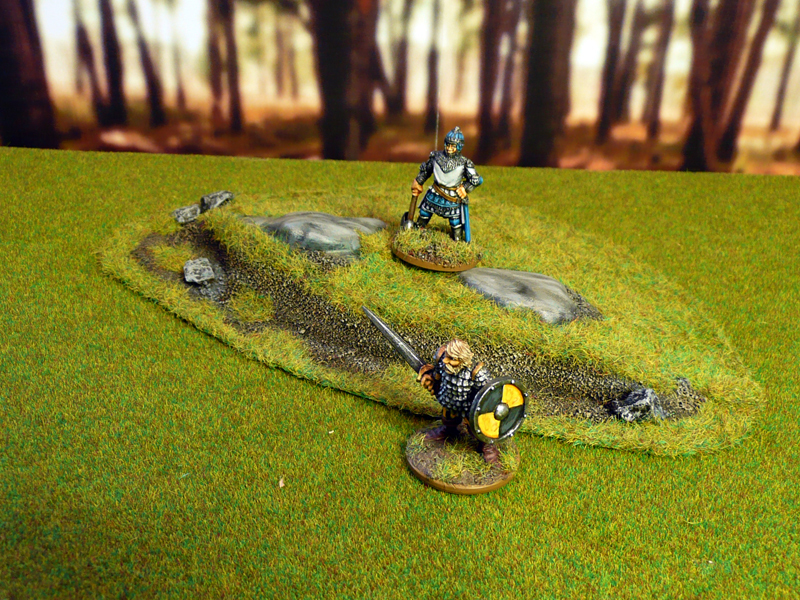 Duncan the paladin is standing on one of the pieces from the Scenery Set. Top right piece in the top photo above.